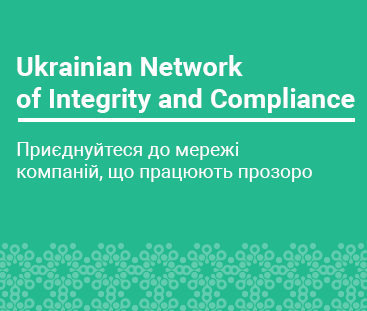 The Company is currently looking for a senior Ukrainian qualified lawyer with 6-10 years post qualification experience, to be based in Kiev and reporting to the NEMEA Head of Legal. You will contribute to the company's success through providing professional, proactive, in-house legal support to the Ukraine and Turley Clusters in all areas, including HR, finance, marketing, sales, regulatory, operations, procurement and commercial functions. You will also provide support to ensure that the company is doing business in the clusters in accordance with applicable laws and regulations and assist with devising legal risk-management strategies. You will be a team player, who takes initiative, well demonstrated organizational skills, ability to bring people on board, high integrity. You will have significant experience in the healthcare industry (preferably pharmaceutical sector or FMCGs), and will have gained experience of working in a dynamic and challenging international environment, either through an international law firm and/or a legal department of an international corporation. Due to the large amount of legal transactional work involved in the role it is essential that candidates have a solid commercial law background and gained practical experience in this area. IP background as well as previous experience as leader of legal team considered as an asset. Review and/draft a wide range of commercial agreements including distribution, manufacturing and supply agreements, promotional activities, HCPs related agreements licenses, sales and purchases contracts, consultancy agreements, leases etc. Assist the legal function with corporate restructuring and BD activities such as JVs, M&As and licensing. Establish and maintain a robust legal know-how framework to ensure that the client is up-to-date with any changes in legislation related directly or indirectly to the pharmaceutical industry; relevant internal stakeholders are aware of such changes; and necessary steps are taken to comply with such changes (where applicable). Provide assistance in corporate law and governance matters including: maintaining licenses and other corporate documentation of the company's entities / rep offices / scientific office in Ukraine & Turkey Cluster, ensuring that any change in such entities is made promptly and in accordance with local laws and internal SOPs. Assist with the assessment of the company's legal presence in priority countries and the proposal of remedial action. Assist the HR function in managing all personnel issues from a legal perspective. Deal with IP related matters when required, in liaison with the global IP Corporate Department. Provide training to company and its affiliates on substantive legal topics. Participate in the development of the Legal function.